Social media continues to become a popular and necessary business promotion tool. 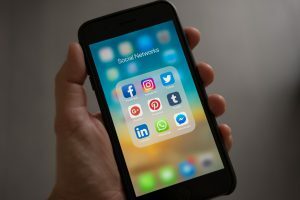 With the number of global social media users expected to reach 2.77 billion this year, it’s important that you keep this platform in your marketing arsenal. It’s also best to be aware and take advantage of new social media marketing trends to stay ahead of the competition. Keep abreast of any changes to make the most of what social media has to offer! Here are five social media marketing trends you should focus on this year. Visual content has a huge impact on your brand. This is why more marketers regard visuals as an important part of their marketing strategy. To increase your social media reach, engagement, and sales, create more content with interesting images. Your social media-savvy virtual assistant can help you with this task. It’s also a brilliant idea to start offering your viewers and followers real-time content. Utilize Facebook or Instagram live video and stories to attract more customers. According to research, 90% of social media users have communicated with a brand via social media. And when they connect with a brand, they look for personalized interaction and engagement. Personalization promotes transparency and builds trust. Thus, it is a key trend that you should prioritize. Enhance your communication strategies, as well as data collection methods to provide your audience with a more personable customer experience. One of the best ways to do this is through personalized messages or by using your customers’ name when you answer their queries. While human interaction is important, you’ll gain an edge if you also leverage new technology, such as artificial intelligence (AI), to interact with your target market. An AI-driven customer service is a trend you might want to jump on this year. A lot of famous brands, like Spotify and Lyft, have already been optimizing chatbots and other automated messaging tools. Consider investing in this technology to grow your business. Influencer marketing is a constantly growing trend. If you wish to optimize this strategy, but you find big name macro-influencers to be too expensive, there’s a better option for you! They are called micro-influencers and they hold sway on social media. Although they have a smaller number of followers compared to celebrities or more popular online influencers, you can still count on them to promote your product or service. Tap on them as your brand ambassadors and see how you can maximize user-generated content to power up your social media marketing. Social media users of different generations agree that social media ads are becoming more relevant. This is why social media ad spending is rising and shows no signs of stopping. If you’re looking to increase your marketing budget, you might want to use more funds on paid social ads that you can publish on multiple channels or networks. But remember to create high-quality content to have a more successful ad campaign. The social media marketing landscape is constantly evolving. It pays to know the latest trends, like the ones we mentioned, so you can update your strategies. Identify and implement what would work best for your business to reap the benefits of social media marketing! Our virtual assistants can help you implement your social media marketing strategies. Contact us to find out how we can work together!